Update: Within 30 hours we reached our goal of 1000 petition signatures. We are continuing to gather even more supporters for more scholarships. Please sign today and share with your family and friends. A new state scholarship to help families give their children the best education is on its way. The Florida Legislature is considering a new Family Empowerment Scholarship to award at least 15,000 new scholarships next year. The number of scholarships, income eligibility and how scholarships are funded is under negotiations by Senate and House leadership. Sign this petition today to thank our elected officials and urge them to adopt a broad and fair program to help the most students possible. Non school children family and retired. Lets educate as many kids as we can in the ways that work for them and their families. Many children learn differently than the ways offered in public schools, so for parents with children with special needs but without the substantial resources to pay for them, this kind of state assistance is the difference, for those children, between growing up as capable, self-supporting adults versus being condemned from childhood to being under-educated dependents for the rest of their lives. Check if you would like to receive updates. Information submitted in this petition will not be shared with any third parties. 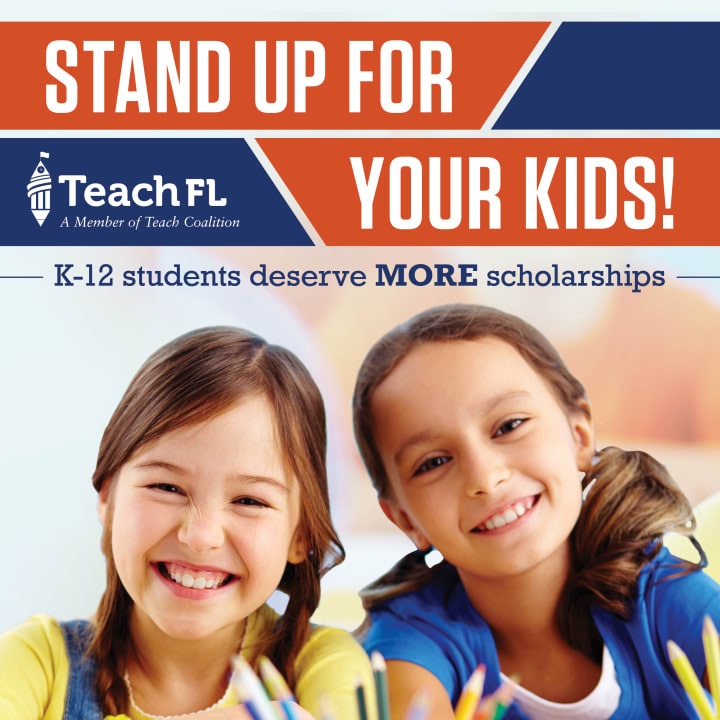 Teach Florida is a fighting for quality, affordable and safe education for nonpublic school children. For more information email teachflorida@teachcoalition.org.